On the basis of analysis and thermodynamic calculations of the reaction paths of the catalytic conversion of ethanol a two-step process is proposed for the production of propylene from bioethanol and catalysts for its implementation. The catalyst of the first step is used to convert the ethanol into acetone, and the catalyst of the second step is used to convert acetone into propylene. This makes it possible to get high selectivity for the target product. Translated from Teoreticheskaya i Éksperimental’naya Khimiya, Vol. 55, No. 1, pp. 47-51, January-February, 2019. 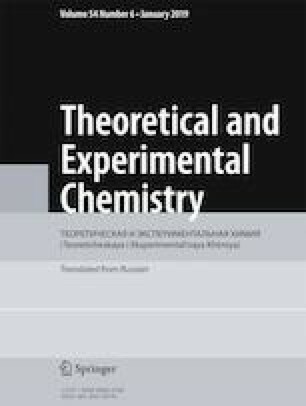 Y. I. Pyatnytsky and P. E. Strizhak, Calculating Equilibrium and Simulating Kinetics of Heterogeneous Catalytic Reactions, 2018, https://www.free-ebooks.net/ebook/Calculating-Equilibrium-and-Simulating-Kinetics-of-Heterogeneous-Catalytic-Reactions.